Handheld Interfaces - Computerized Inventory System Specialists Ltd. Inventory Pro is designed not only to be run in the office and on computers, but rather accross the warehouse. 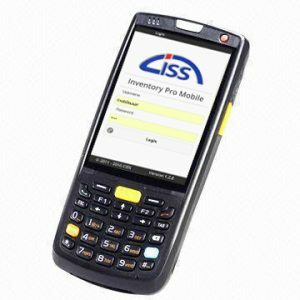 A handheld version of Inventory Pro is available from CISS and can be interfaced with all Android, and iOS operating (any device with a recently released browser) systems. This will allow the user the increased flexibility and efficiencies associated with mobility. These units can be equipped with bar code scanners so the information can be scanned in through the handheld devise or entered in manually. Downloading this information into your Inventory Pro Database can be accomplished in real time with the use of 802.11 or Edge Cellular Networks wireless technologies or can be stored on the device for future downloading (Batch Mode) to your network through a docking station. Inventory Pro Handheld Allows You to Do More with Less. Real-time data transfers, know the true location of inventory items at any given time. Increased efficiency in tracking inventory items, cycle counts become easier and more reliable. Time saving convenience, data entry at the source. Increased accuracy of inventory information, make inventory adjustments as they occur. Scalability, It’s simple to add handheld units as your needs grow. Increased reliability, designed to be intuitive, quick and easy to use allows for multi-tasking and decreased training time. Increased customer service, provide more reliable information to your customers in a timely manner. Competitive advantage, respond quicker and make decisions faster so you keep ahead of your customers’ needs, and your competition. These following snapshots are taken from the Handheld devices ( a WorkaboutPro and Symbol PPT-8800 ) and show the main home screen and the Receive, Issue, Move, Leasing, and Physical Count screens respectively. Batch Mode – where data is collected on the device and then transferred or synchronized with the main database through a file transfer or docking of the device in a cradle. Real Time – via wireless RF 802.11 online SQL database connection; the handheld device can run the Inventory Pro Mobile application with the database transactions updated instantaneously. 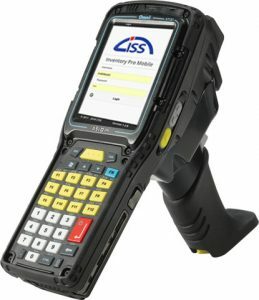 Whether you want to add the handheld units to your process for batching or for real-time transfer CISS can assist you with realizing the benefits of mobility within your inventory process.